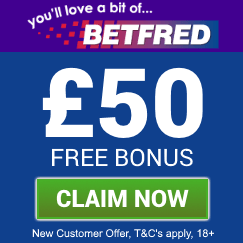 Betfred Bingo | Deposit £10 and Play with £60 - Join Today! 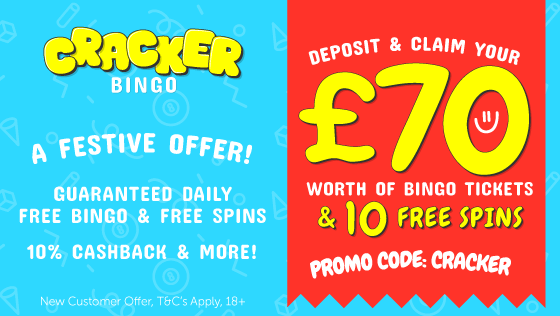 Welcome to the bingo offers and promotional page for Betfred Bingo. Here you will find details of promotions that we recommend including information on how to join this online bingo site as a new player. Alongside this, we may detail previous promotions if available, for you to see the type of offers that Betfred Bingo gives its players. Over at the popular online bingo website Betfred Bingo every month they offer you the chance to take part in a promotion where a huge £20,000 of prize money will be won inside a single hour. This promotion is not just a one-off but a regular monthly offer so you better make a note in your diary not to miss out. The 20K Bingo Hour will take place on the first Saturday evening of every month. All you need to do to take part is make sure on that promotion day you go to the Betfred Bingo login and access your account and play online bingo in the Betfred Bunker Room between 10pm and 11pm. During that single hour there will be a total of 10 bingo games that have a total prize of £1,000 each to be won and at 10:30pm there is a single game that is for a whopping £10,000. This particular game is a 50p per ticket Bingo Linx game and Betfred Bingo actually also have two other daily Bingo Linx games played at 12 noon and 6.30pm. So make sure you don’t miss out on your chance of winning a share of this huge guaranteed prize pot. Pencil in the first Saturday of every month and play at BetFred Bingo. For full terms and conditions of this promotion, please visit the Betfred Bingo website. If you do not yet have an account with Betfred Bingo but would like to join in any of the promotions available on this page, then signing up with them as a new player is quick and easy. Just click the blue coloured button at the bottom of this page or any of the claim buttons within the promotional articles. Any of these actions will take you to the Betfred Bingo website. Once you are on their home page, just select the PLAY NOW button and this will open the online registration form. Complete this in full to open your account. As a new player making your first deposit of £10 you will receive a £30 free bingo bonus and a £20 slots bonus giving you £60 to play in total. So join Betfred Bingo today, claim your free cash bonuses and you can then join in all the great promotions shown on this page.